Turn to Phantom Pumps, the industry’s leading manufacturer, for industrial sewage pumps that you can rely on for years to come. All of our pumps are engineered to be self-priming, which means they don’t need to be re-primed after the initial prime. These pumps also don’t need an additional filling source, foot valve or vacuum source, so they are extremely easy to install and need minimal yearly maintenance. Our pumps are interchangeable with many other reputable manufacturers’ models such as Gorman Rupp, Warman and others. Our pumps and equipment easily pass all of the industry’s standards and perform at the same or better level than other models. Despite all of this, our pumps are often available at much more affordable rates. To better serve your needs, we offer all of our pumps in a variety of sizes and offer both low- and high-pressure models. We have a wide selection of equipment that is in stock and ready for shipment, making it easy to quickly find pumps that match your specific processing requirements. Additionally, we test, assemble and ship all of our products from the United States to ensure our strictest quality standards are met. 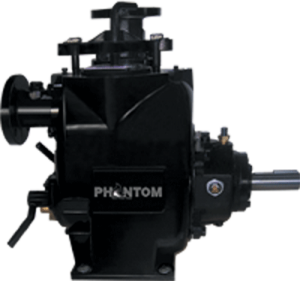 Contact Phantom Pumps today to learn more about our selection of industrial sewage pumps, industrial mining pumps, industrial water pumps, heavy duty pumps or any other industrial pump models for your facilities in Florida, Alabama, Georgia, Ohio, South Carolina and elsewhere in the US. We can ship our pumps across the globe, and all orders are processed as quickly as possible to reduce any possible downtime. If you need local assistance, we have a global network of distributors who can offer product installation, assistance and repair 24/7.